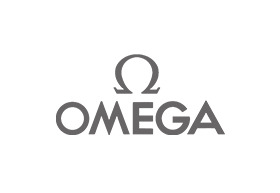 The Omega brand has stood for master craftsmanship, immaculate styling, functional design and utmost reliability since it first made its appearance in the marketplace. The Swiss brand has built a reputation world over for its innovative conceptualisation and world-class quality in every timepiece. As its name symbolises, the Omega watch company believes in accomplishment and perfection, which have been the driving force behind the business since its inception in 1848 by a young 23-year old Louis Brandt. Later, it was grandson Paul Emile Brandt, whose able guidance and foresight carved a niche for the brand in history, especially post the merger of Omega and Tissot in 1930. Omega watches are synonymous with impeccable workmanship and quality construction. Today, it has a lot to offer in addition to the iconic styles worn and popularised by the likes of Prince William, John F. Kennedy and Buzz Aldrin. Stylish wrist wear for men and women made with the best quality moving parts allows the brand to continue its legacy of keeping perfect time for millions across the world. Couple watches from Omega are particularly popular with the younger generation. You may take your pick of these timeless timepieces at Chadstone! The store is nestled between other international fashion labels in the ground-level luxury precinct within close reach of the car park A.